She had tried to defend her 17-year-old daughter from being raped by more than a dozen soldiers and didn’t succeed. Seventeen soldiers then raped her. The family’s father was beheaded. The latest report on human rights abuses in South Sudan’s five-year civil war, released on Friday by a United Nations commission, includes that horrific day in Pagak town and many others as the team collects evidence in the hopes of one day finding justice. “I did not expect to be confronted with so much ritual humiliation and degradation deliberately done for multiple reasons. The suffering and cruelty was worse than anyone could have imagined,” Andrew Clapham, a commission member and international law professor, said. 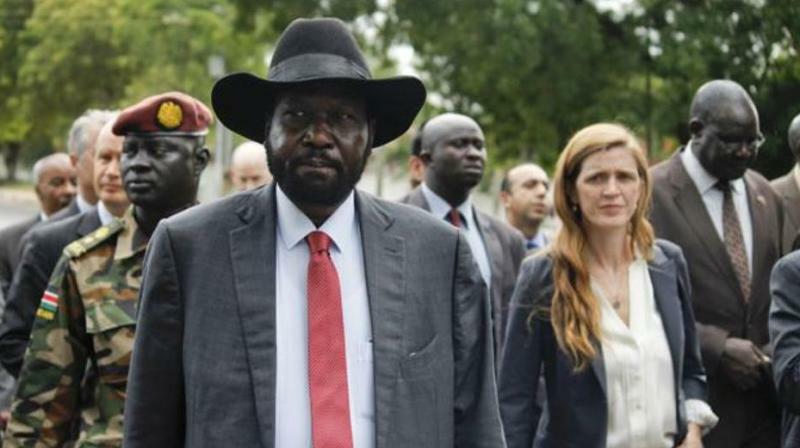 South Sudan’s government did not immediately comment Friday. “The human rights body should start putting the blame directly on the regime instead of blaming both sides,” opposition spokesperson Lam Paul Gabriel said. South Sudan’s conflict is splintering into chaos, the new report says. What began as a “power struggle” between Kiir and former vice-president Riek Machar has fractured into an estimated 40 armed groups across the country, with many fighting each other. But consistent patterns stand out, such as government attacks on unarmed, fleeing civilians in areas where no opposition forces were present, the report says. “There is a clear pattern of ethnic persecution, for the most part by government forces,” Clapham said. Despite the latest accounts of abuses, South Sudan experts are sceptical that anything will change amid what the report calls a “grave” lack of accountability. “The recommendations of these human rights reports have not been implemented in South Sudan, making them useless,” Jacob Chol, senior political analyst and professor at the University of Juba, said. He said human rights abusers should be barred from the South Sudan peace talks in neighbouring Ethiopia.